Thank you for considering one of our Corner to Corner (C2C) crochet graphs and instructions. 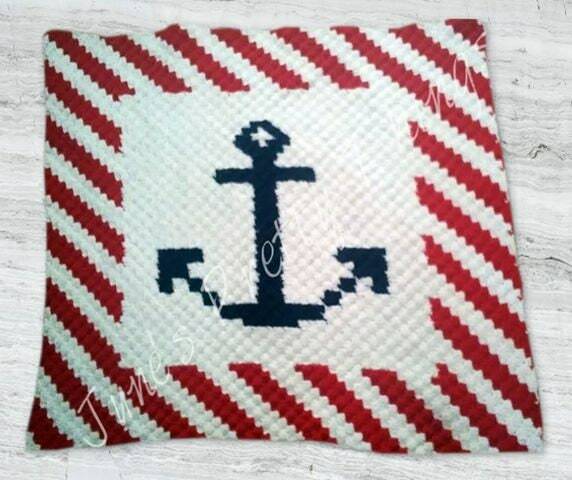 The Anchor Stripe afghan is a great first time C2C project with only 3 colors. The stripes give it depth and make it look more complicated but because the pattern is worked from corner to corner, the diagonal stripes are easy to do. This is one of the smaller afghans for those just wanting something light to cover up with.